The origins of the Discover Thomas & Friends Exhibition in the UK have been uncovered. From its inception in 2009, the exhibition at Drayton Manor's Thomas Land is home to some of the models and sets seen in the Classic and New era of the show. Roll Along Thomas were forwarded info in June from the layout and the park's designers, RMA Themed Attractions, about several models initially proposed. Thomas, Rosie, Edward, Harvey and Stepney are known to be the only stationed engines. Bulgy, Trevor, Elizabeth, Terence and Bulstrode represent the road characters. According to RMA in 2009, only the popular characters will be going on the layout. We've also got Gordon and Toby here, as well as a diesel engine all in black. A blue narrow engine will be on top of a canyon. Gordon and Diesel are however hidden under the layout along with an assortment of props. They include grey and brown cargo vans, a cattle van, a jam tanker, a truck full of tinned cans and Edward's happy, clenched and tired face casts. 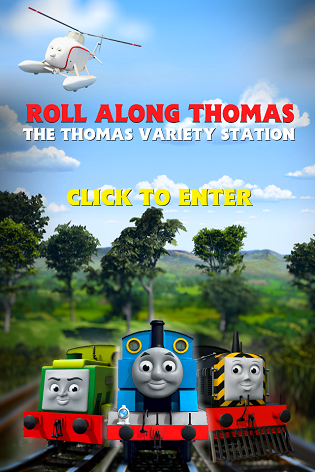 Discover's storage also contains Sodor circus vent vans, balloon trucks and Flora's tramcar with tarp, all of which can be seen on RMA's website.